Even with the launch of the Pixel Slate, Google’s Pixelbook is still our favorite Chromebook. The only problem is, with a starting price of $999, it’s not cheap. 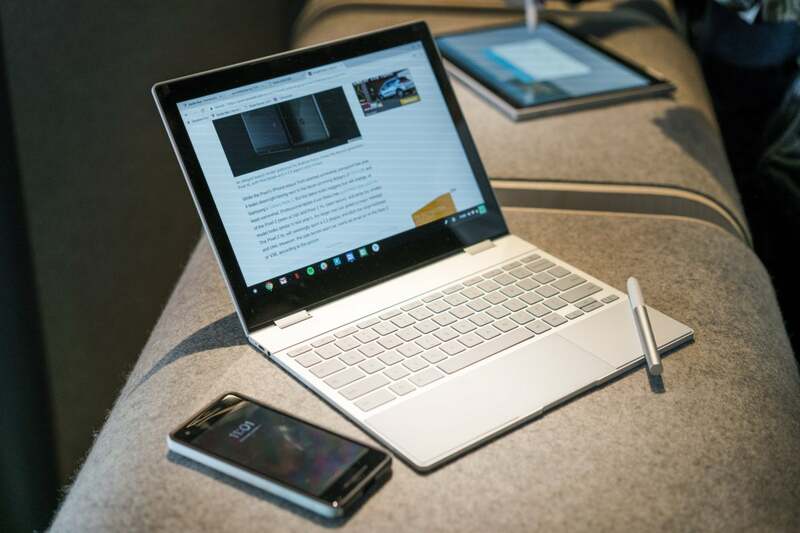 But if you’ve had your eye on one, today’s the day to pull the trigger on a purchase: For a limited time, Google is selling the entry-level Core i5 Pixelbook for $749Remove non-product link—and you might get an extra $50 to spend on accessories too. The $250 sale only pertains to the $999 Pixelbook with 8GB of RAM and 128GB of storage, but it’s hardly a slouch. It’s got a 12.3-inch, 2400 x 1600 display with a 360-degree hinge that can transform from a laptop into a tablet in seconds, an excellent keyboard, and an all-day battery that lasted nearly 12 hours in our testing. It’s got an gorgeous design that feels every bit as premium as a MacBook, and of course, it’s got Google Assistant built in and support for the Pixelbook Pen. Speaking of the Pixelbook accessories, Google might send you an extra $50 Google Store gift card when you purchase a Pixelbook. As you can see below, the extra offer is only available for select Google customers, and there's no telling who will be eligible. Google is sending out emails to let people know, but if you missed it, you might still get the discount—think of it like a random drawing. There’s no code to input or link to click—if you’re one of the lucky chosen customers, you’ll receive a $50 gift card in 4-6 weeks. Google says the gift card offer lasts until December 30. 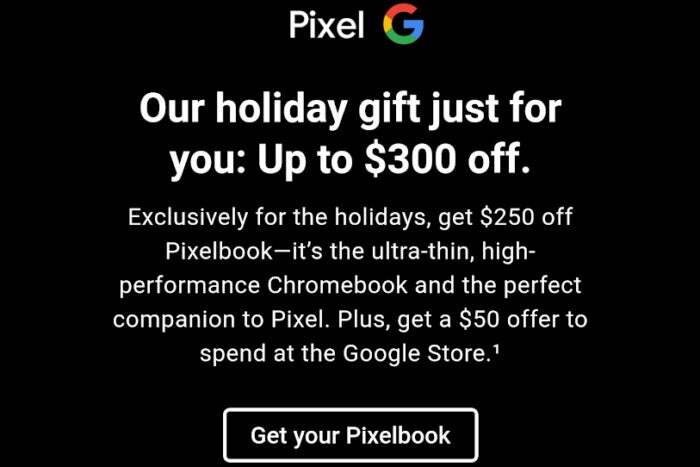 Google is offering select customers a bonus $50 gift card when they buy a Pixelbook. But even if you don’t qualify for the $50 gift card, $749 is still a fantastic deal for one of the best Chromebooks you can buy.